In the interest of balancing the tech karma, PCWorld a while back also posted The 50 Greatest Gadgets of the Past 50 Years. I don't know if it's because of the excessive amount of sun I got today and I'm just hopped up on vitamin D or what, but this video from Tripod made me giggle, snicker and guffaw. Rumor has it I may have even chortled, though I'll never admit to chortling. In the 2000 film Memento, Guy Pearce plays Leonard Shelby, a man who has committed his life to finding the man who murdered his wife and caused the brain injury that prevents Leonard from forming new memories. It wasn't exactly amnesia. He could remember who he was, his family, his wife and everything up to the point where his brain injury occurred. After that, though, any new information he learned would only stick around in his memory briefly. Kind of like when someone gives you their phone number but you don't have a pen or paper. You might be able to keep the number in your brain for a little while; repeating it helps a little, but if you start talking to someone else, that number probably goes away and gets lost for good. That was what the Leonard character had to live with 24 hours a day for the rest of his life. I was surprised to learn that there's a real-life version of Leonard. His name is Henry M. and he currently resides in a nursing home in Hartford, Connecticut. As a young man, Henry suffered from severe epilepsy. In 1953 he underwent a radical brain surgery that was supposed to cure the epilepsy by removing portions of his temporal lobe. The seizures went away. Unfortunately, his ability to remember anything new that has happened since the operation has also been lost. Henry, now eighty, has woken up every day for the past fifty years thinking he is still a young man of twenty-seven, and is always confused and taken aback when he sees his reflection in the mirror. He relives shock and grief whenever he is told of the death of his mother. He has become one of the most-studied cases of memory in medical history. Read his fascinating and tragic story here. Instructions? We don't need no steenkeen' instructions! 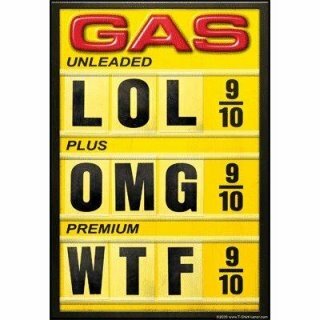 Why do gas stations add that 9/10 of a cent to their prices? 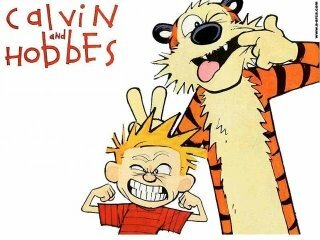 Every single Calvin & Hobbes strip from its debut in November of 1985 to its final strip on December 31st, 1995. On the subject of comics, let me throw a little love to Josh at The Comics Curmudgeon. Everytime I start whining about how hard my job is, I remember that Josh is out there taking one for the team, slogging through the likes of Family Circus, For Better or for Worse and Mary Worth every single day. Go Josh! You're a stronger man than I am. Plus, it's going to make carbonated beverages so much easier to manufacture! The Al Gore film on global warming, An Inconvenient Truth, is causing some interesting reactions. Big Oil-backed think-tank The Competitive Enterprise Institute (CEI) has actually gone so far as to put out two astounding commercials not only denying that global warming exists, but that more CO2 in the atmosphere is good for you. It's a pro-CO2 advertisement! We breathe it out every day! Trees need it to live! It comes from the earth, how could it be bad for us? Their tagline seems right out of an SNL parody commercial: "Carbon dioxide -- they call it pollution. We call it life." Watch it here. Mr. SMITH: We’re basically to a world now that’s a lot closer to heaven than hell. 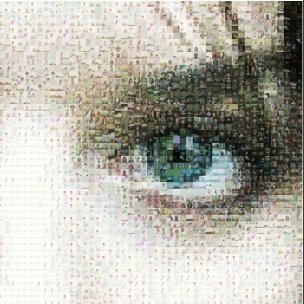 Check out this never-ending mosaic . Click on any area to zoom another level deeper. I've added a feed in the sidebar that tracks what music has passed of late through my mp3 player. Feel free to be inspired, make mocking comments on my musical selections or just silently puzzle over why anyone in their right mind would listen to that much Dread Zeppelin of their own volition. Try to terrorize your tongue with tortuous tongue-twisters. What is the sound of one mouse clicking? Tonight's forecast calls for freezing. Like a deer in the headlights. College broadcasters aren't the smoothest or most professional in the world. We've all gotta start somewhere, I suppose, but this is ridiculous. Click the pic for video. 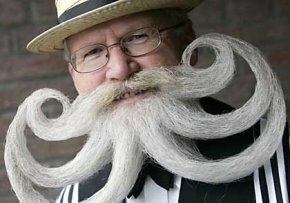 The World Beard and Moustache Championships take place in odd-numbered years (draw what conclusions you will from that). Check out a small gallery of some of the 2005 World Beard Championship winners (via J-Walk), as well as the official WBMC page with more pics and much more info. Watch 70 channels of TV for free (legally), including Sci-Fi Channel, Poker TV and several, uhhh, "marriage-enhancing" channels. This refreshingly candid disclaimer for a nature preserve can be read in its entirety here. The Saddest Thing I Own posts stories and photos of people submitting the history behind the saddest thing they own. It might be the last photo taken of a loved one before they committed suicide, or the comic book one boy was reading when his dad was murdered. Some are moving, some are baffling, but all are interesting if only because of the personal aspect of it.